Ready for PARIS? My genius deal from Secret Escapes will bring you to France! 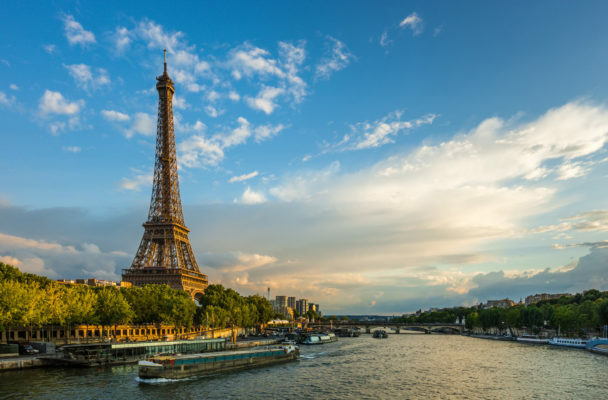 You will spend 2 days in the french capital and pay from 205 kr only, the night at a great 3* hotel as well as the breakfast are already included in that price. The 3* Izzy by HappyCulture is located near the Porte de Versailles and offers newly renovated rooms with stylish interieur. You can use the WIFI for free and enjoy the tasty breakfast buffet in the morning. Collect some suhsine on the Patio and try amazing french wine at the hotel bar. On TripAdvisor, the hotel received a 4.5 out of 5 rating from 45 different reviews. Oh, Paris! Stroll through the beautiful street, visit a boulangerie for some Macarons and enjoy the view of the Eiffel Tower. Visit the Notre-Dame cathedral and enjoy the busy surroundings of the Arc de Triomphe. There are plenty available dates from February – August for you – so pack your bags and enjoy a beautiful weekend in the city of love! Let’s go to the Paris deal! Sign up for our Newsletter, and don’t miss anymore deals. You’ll be the first to find out about our Paris bargains!